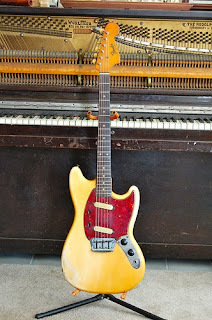 Most of the guitars that I buy are finds- as in they have been in a closet or under the bed for 30 years. That means that they usually need a fair amount of repair like loose braces, neck sets, lifting bridges, etc. When they need these kind of structural repairs I can't play them before buying. I can't always hear how they will sound after being fixed up before I buy them. It can be a bit of a gamble. Here are a couple of those gambles. This was probably the biggest gamble of all. 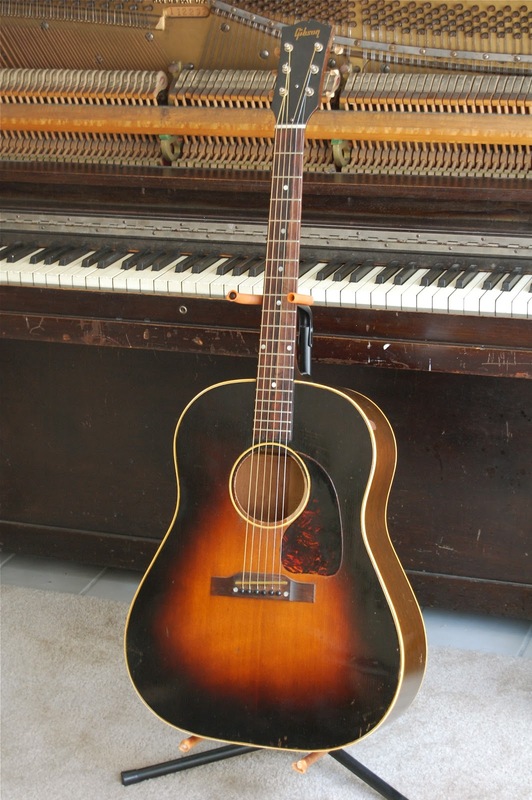 This is a 1943 Gibson J-45. 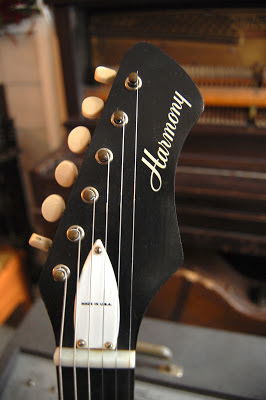 This has the fabled "banner" gracing the headstock that was only present during the war years. I bought it from the grandson of the original owner. The back braces, tone bars and finger braces were all loose. The owner could not be convinced of this fact for some reason. He had strings on it at full tension which caused the action to be very high. I bought it anyway because I wanted a banner. This was a GREAT bet. I figured it would need a neck set but after the braces were glued tight the neck set was perfect. It has almost factory saddle height. The tone is warm, dry and very responsive. You can feel the pluck of each string deep in your chest. Suffice it to say they were right about the banners. This 1955 Gibson J-50 was a recent gamble. It was listed as a '54 and was about an hour and a half from Birmingham. 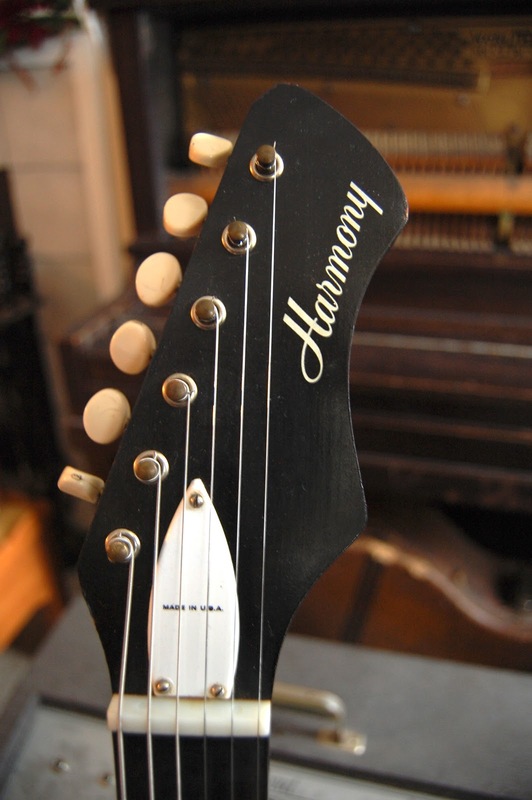 I could tell from the pictures that while the tuners were there the buttons were not. I just happened to have bought an old Kay with period Klusons for next to nothing the week before! When I got the guitar in my hands I could tell that the bridge had been shaved meaning that it probably needed a neck set. I bought it anyway. 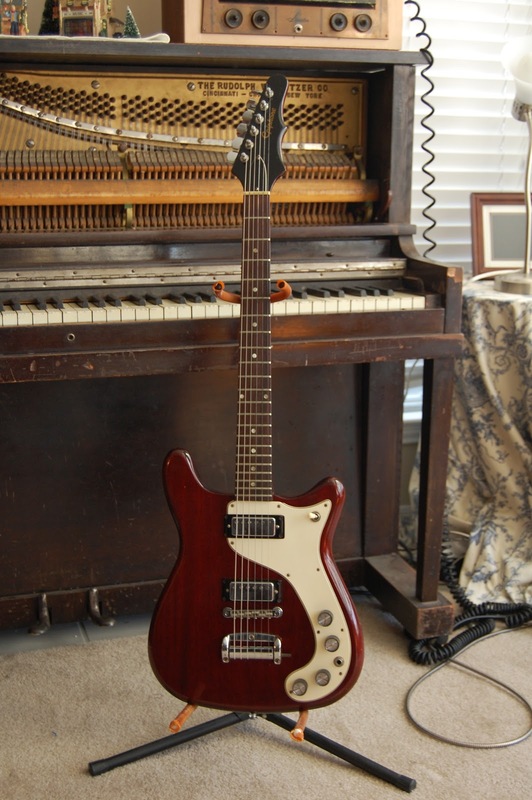 This is a very special guitar and probably the best gamble of all. I took it straight to my local shop where my friend Keith works. We put the extra set of Klusons on and strung it up. As he was winding the strings I could hear that familiar hollow thump typical of the round shoulder Gibsons. At full tension we immediately knew that this was not just an average 50s Gibson. It was loud, nuanced, responsive and most of all LOUD. I'm talking bluegrass loud. We couldn't hear each other talking over the rumbling E chord. 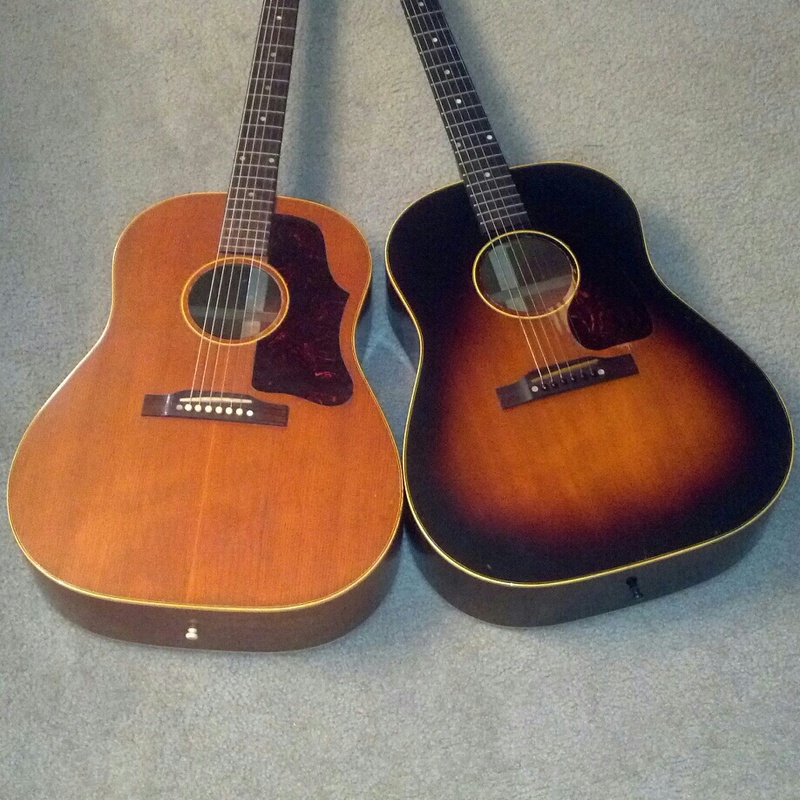 Then we took it into the acoustic room to compare it to some new guitars. 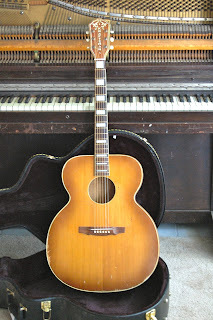 We soon realized that this was guitar of myth and that it could never leave our circle of pickers. 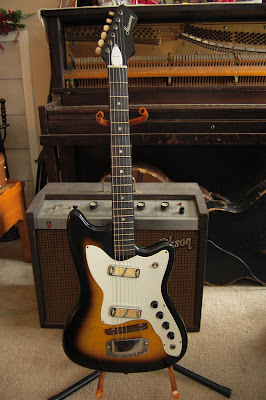 This is a 60s Silvertone (Harmony Sovereign), I can't remember the Silvertone number designation. I bought it from a different local shop needing a neck set. When they got it in the called me because they knew I love the American made solid wood guitars. 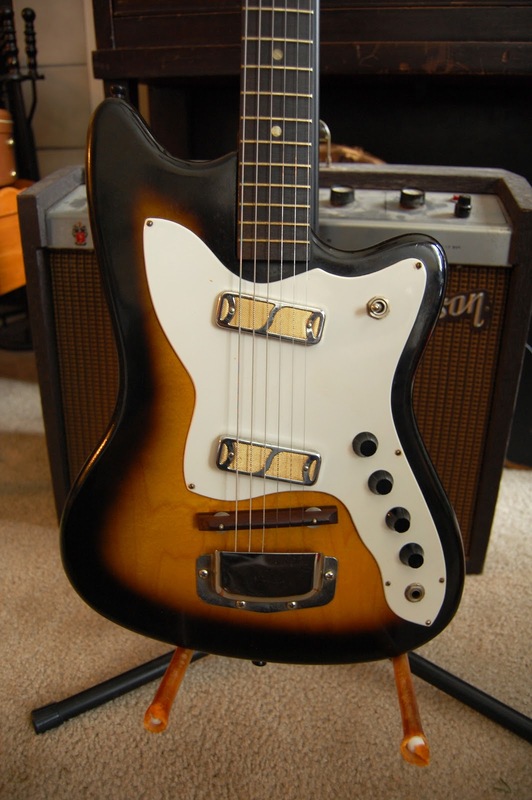 They just said it was a Silvertone. When I walked in I immediately recognized the distinctive bean shape and pinless bridge as a rebranded Sovereign. I was ecstatic. They thought I was crazy for buying a hard case for it. The neck set was easy because the dovetail had already shifted in the joint. I strung it up and started strummed some cowboy chords and fell head first in love with Sovereigns. The J-45s sat in their cases for a few days while I became acquainted with it. It had the rumble of a J-45 but sounded more bluesy- no, boxy. This was probably a result of the ladder bracing. Sometimes I just want to strum my favorite chord progression and belt out the lyrics. This guitar was just about perfect for that. It had the magic and can be had for less than $500. Don't be fooled by the price, this is a professional instrument. 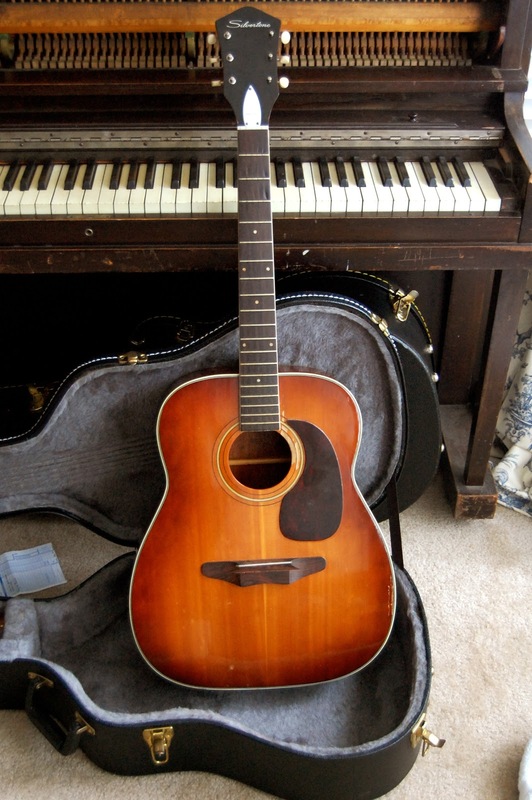 I sold it to a big time session player in Nashville. It is a safe bet to say that you have heard him play. It is a special feeling to strum an old guitar for the first time. It is even more exhilarating when you have a bunch of time and money invested in it! Maybe I have just gotten lucky but I have never had a bust- yet. If you find one of these for a good deal then don't be afraid. Take the plunge. 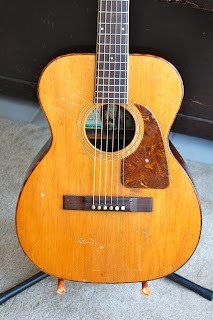 True Vintage Guitar Dot Com! ..... is coming soon. At least I bought the domain. I don't know hardly anything about this whole domain...hosting...programming thing. 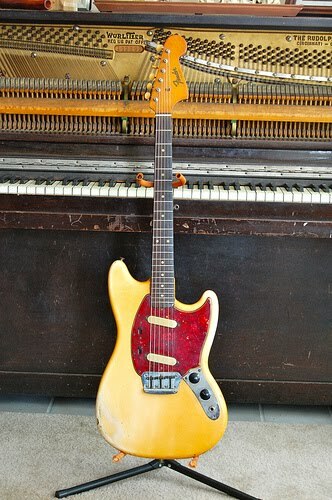 I want to make it a hub for people that like vintage instruments. The biggest thing will be a forum just for vintage gear. Will you join the community when I get the website up? I know you guys have cool gear that we could discuss. Of course, pictures are a must. I'll let you know as soon as I get it going. I would really love for you to be a part of it. Yes, you. Whether or not you have gear or want gear. You have something to say. Otherwise you would be sitting on the couch watching a re-run of Wedding Crashers or Christmas Vacation. No, you are out here looking for information on the stuff that you like. You are looking to learn. Forums are a great way to do that. 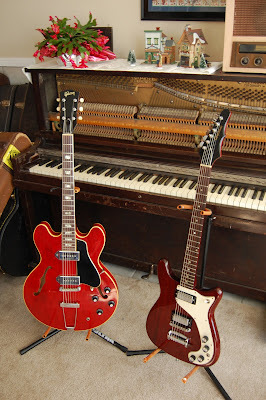 Here is a quick update on the guitars I have bought/sold lately. Wow, I didn't realize how much was gone until I posted this. Two guitars come to mind that will really keep me up at night. 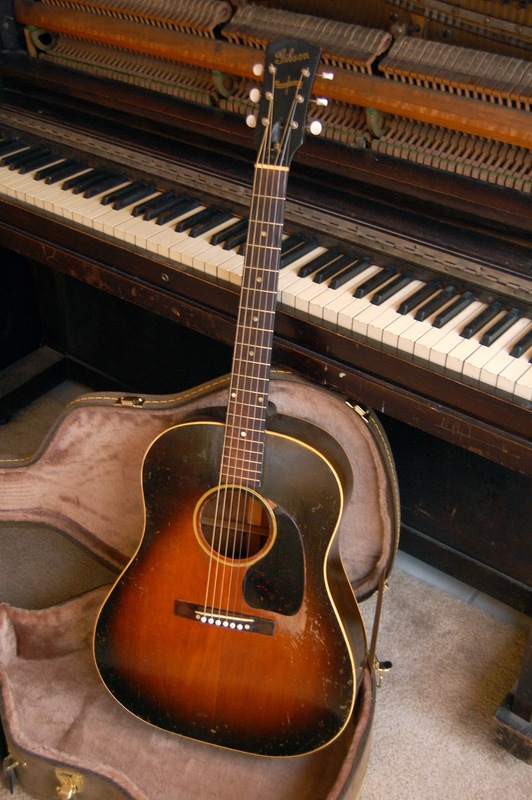 That '53 J-45 was "the one I would never sell." It is the prop that my wife and I used in our engagement pictures. So sad. The second one is the big Kay Jumbo. 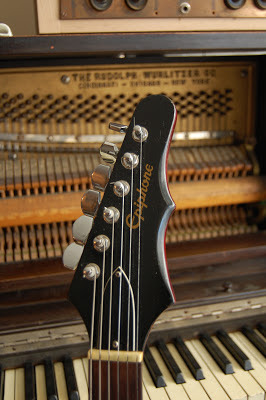 I spent a lot of time on the neck set, custom bone nut and saddle. It came out perfect. I sold it for way less than I should have and the buyer wasn't even happy with it. I told him that I was a bit relieved and that I would buy it back immediately, pay for shipping both ways AND give him $20 for his troubles. He said no. So then I was out a guitar and the buyer wasn't even happy with it. I begged him to change his mind and he refused. So he was both happy any unhappy about it, I guess. I don't know. Something that was interesting about these sales is the fact that a couple of the guitars went to some big time players. Suffice it to say that you have heard them play before. Or you have lived under a rock for the past 50 years. I wish I had more time to write about these. Right now, unfortunately I don't. Sorry that these pictures are less than professional. Have you gotten anything cool lately? Share it with me. Shoot me an email or comment. I picked up this Harmony Bobkat a couple of days ago. I didn't feel like writing tonight but I wanted to get the word out about these so I made a quick video about it. Check it out, comment, disagree, like it, share it.... participate. I just wanted to show that while I could be playing much more expensive and technically "better" guitars, instead I am playing this one. You don't have to pay 3 grand to get a solid vintage guitar. 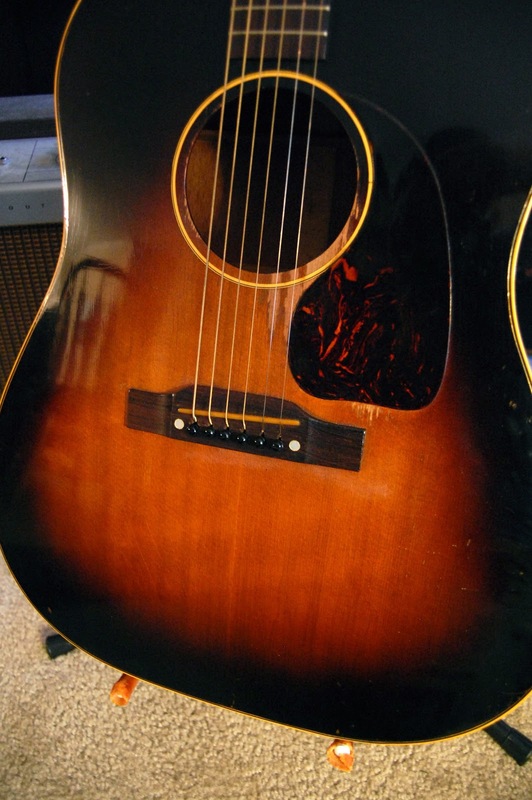 Price does not translate into quality, playability or tone. The price of a vintage guitar is only the result of supply and demand. 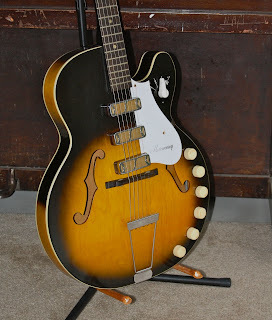 Most of the time the demand for a guitar and its overall tone/quality go hand in hand but there are always exceptions. I believe this is one of them. This girl is tearin' up this Bobkat! Good stuff!